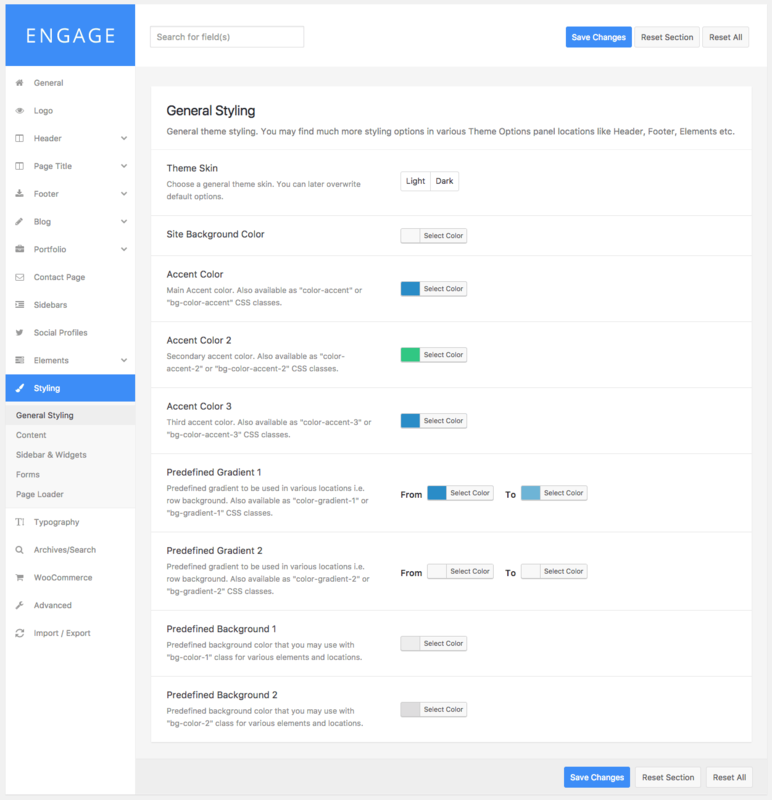 Engage allows you to easily change colors of almost any aspect of your website. 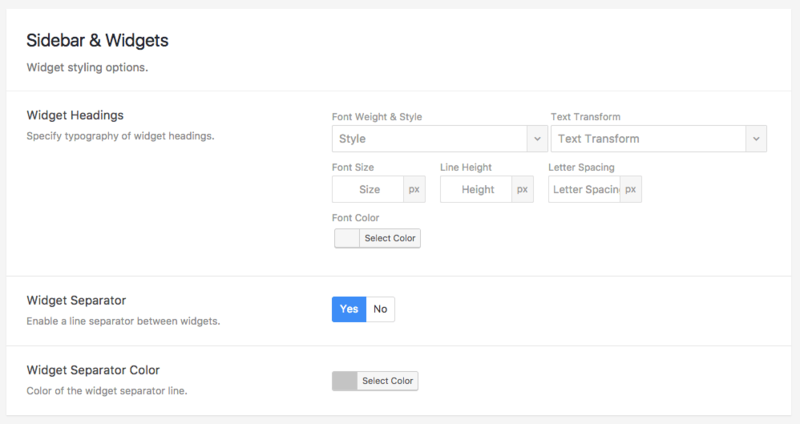 Feel free to change the text color of your headings, paragraphs, icons, the border color of widgets, form inputs, section and column background colors or theme accent colors. 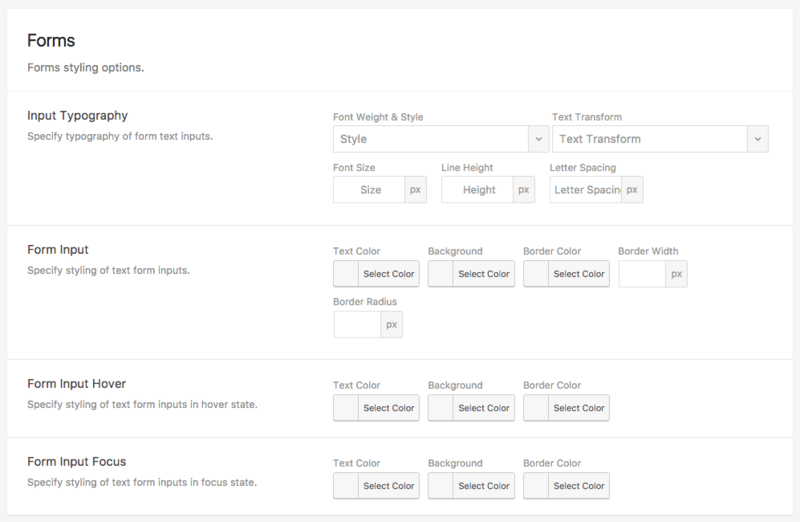 Each Theme Options panel tab contains controls to style that specific part of the theme. 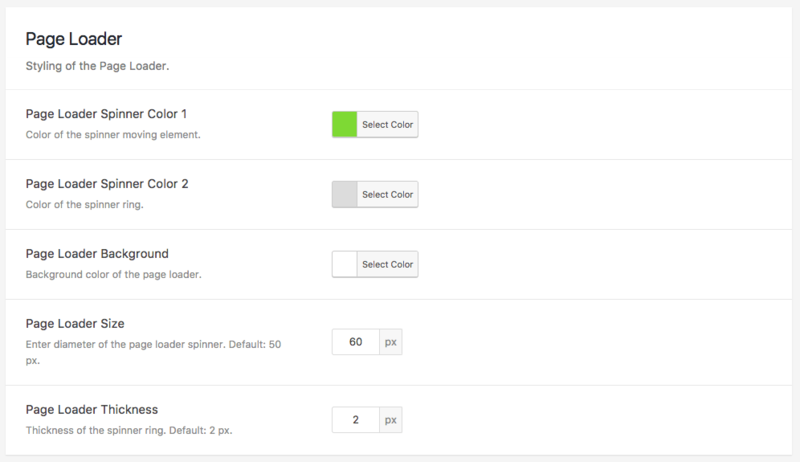 The “Styling” tab provides you controls regarding the main style aspects. 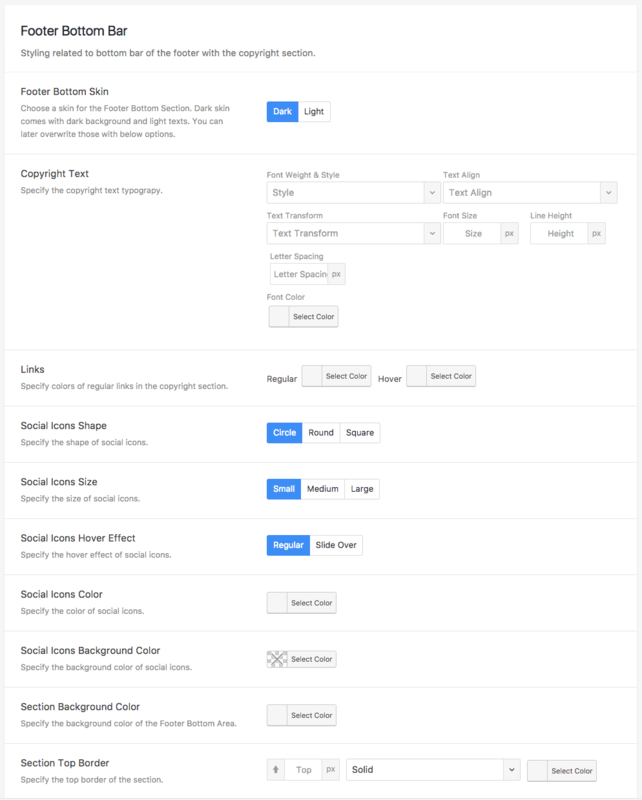 And much more options in remaining Theme Options tabs!